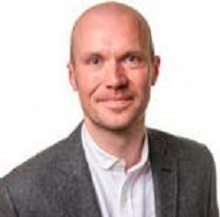 Thomas Poulsen is Associate Professor of corporate governance at the Department of Accounting and Auditing (AAC) at Copenhagen Business School and a member of the Center for Corporate Governance, also at Copenhagen Business School. His research is currently focused on long-term ownership in general and industrial foundations in particular, as well as on labor relations and wage inequality. Over the years, Thomas has published twice in the leading field journal of corporate governance – Corporate Governance: An International Review. His other works primarily appear in financial economics journals. Thomas teaches one course in behavioral economics and another in corporate finance.